2017 Esoteric Seminar – The Grand Lodge of Connecticut A.F. & A.M.
Tickets for the Committee for Masonic Education’s 2017 Esoteric Seminar featuring the author of Observing the Craft, W.B. Andrew Hammer are now available. Event registration begins at 8:30 am. The program begins at 9:00 am. Keynote speaker W.B. Andrew Hammer will be joined by other speakers discussing a variety of esoteric/educational topics. This program is open to all Master Masons, and brothers from all Grand Jurisdictions are welcome to attend. The Program will be held in the Hartog Center. Onsite free parking readily available. A box lunch will be provided to the attendees. The Masonic Store will also have goods for sale, so make sure you bring a little extra spending money! Books will also be available for purchase. 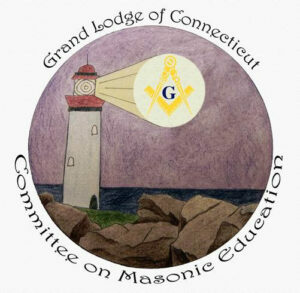 The Committee on Masonic Education is trying something new. We are using Eventbrite as a way to make it easier for Brothers to register for the event. It is super easy! For those Brothers who do not wish to use Eventbrite, then please send $25.00 to Br. Andrew Warren, 71 North Main Street, Windsor Locks, CT 06096. Please include an email address, and I will send you an electronic ticket. For those who do not have email, I will send a paper ticket to you.